You know you want to simplify things, you just don’t know where to start. 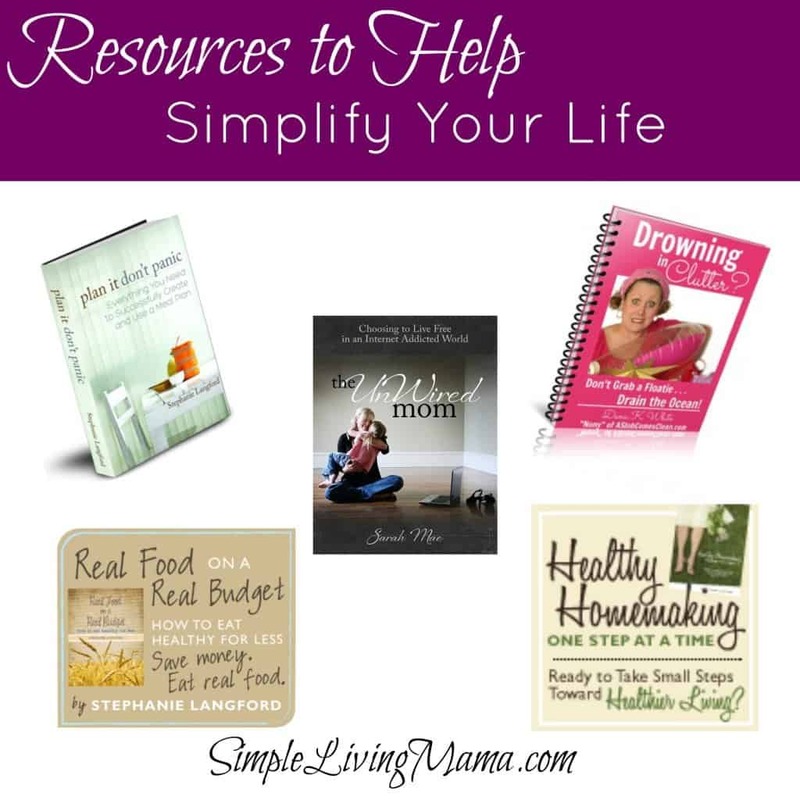 I have compiled all of my favorite resources that will teach you how to live simply! Most of these resources are eBooks which are great because you can read them on your computer, smart phone, or Kindle. I will continue to add to this list as I come across resources that I think will benefit you! I also plan to add FREE resources as I find them! Follow me on Pinterest to see more resources and my progress through the Life: Simplified Project!